Gartner's top five strategic technology trends for 2019. 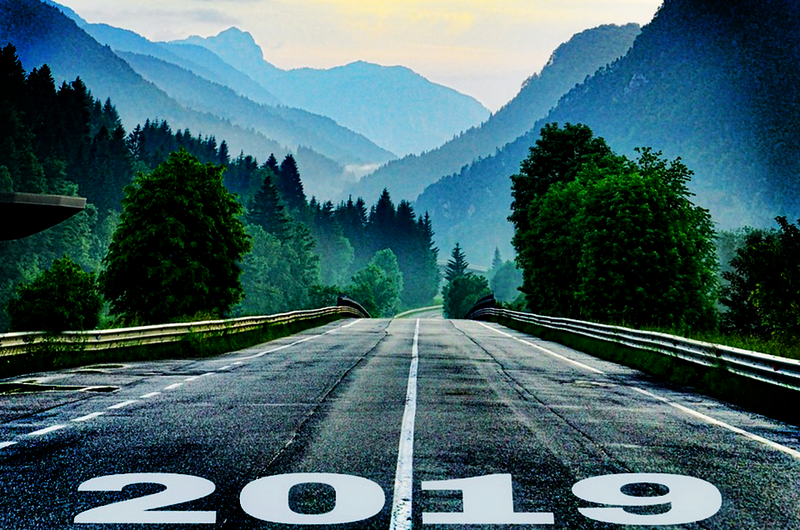 As we head into 2019, it is important to keep a pulse on the trends we’ve seen in the supply chain in 2018 and begin to plan for those that will continue to develop or emerge in 2019. In October of 2018 Gartner released a report detailing the top 10 strategic technology trends for 2019. For the purposes of this blog, we are going to review the top five. Gartner believes these trends have the potential to drive significant disruption to the supply chain and delivery opportunity within the next five years. By evaluating these trends, leaders in the supply chain will be able to identify opportunities, counter threats, and create competitive advantages. Autonomous things are technological developments that are expected to bring computers into the physical environment as autonomous entities. Autonomous things cannot match the human brain’s breadth of intelligence and dynamic general-purpose learning, but they can assist in many routine human activities without requiring human direction. These range from robotics, vehicles, drones, appliances, and other agents. They are applied across all environments, but have varying levels of capability, coordination, and intelligence. Autonomous things have assisted in crime prevention, advanced agriculture, and increased automobile safety. It is estimated that by 2021, 10% of new vehicles will have autonomous driving capability, compared with less than 1% in 2017. Augmented analytics transform how analytics content is developed, consumed, and shared, by using automated machine learning. There are three key areas of augmented analytics which include augmented data preparation, business intelligence, and augmented data science and machine learning. Augmented analytics represent a third wave of development in data and analytics platform capabilities. These waves have decreased the time to make advanced insights from months to instant or real time. Gartner predicts that by 2020, augmented analytics will be the dominant driver of data and analytic systems, and that the automation of data science tasks in 2020 will enable citizen or non-expert data scientists to produce a higher volume of advanced analysis than specialized or professional data scientists. Gartner estimates that by 2022, at least 40% of new application development projects will have artificial intelligence co-developers on the team. Digital twins can drive significant business opportunities by improving maintenance and reliability, optimizing business processes, monetizing data and models, aiding in research and development, and creating new business models centered on guaranteed outcomes and proactive advice. By 2021, half of large industrial companies will use digital twins, resulting in a 10% improvement in effectiveness for those organizations. Edge computing is a complementary concept to cloud computing. Edge computing is a computing structure where information processing and content collection and delivery are placed closer to the sources and repositories of this information. Gartner expects a steady increase in the embedding of sensor, storage, compute, and advanced AI capabilities in edge devices through 2028. However, that expectation can be altered because of the nature of edge computing coupled with the rapid push by vendors to drive more functionality into edge devices. This creates a complex and ongoing management and integration challenge. The other trends Gartner discusses in their report include immersive technologies, blockchain, smart spaces, digital ethics and privacy, and quantum computing. Register to read the full report by Gartner here. Bri Wagner graduated from the University of Tulsa in May of 2018 with degrees in marketing and business law. She accepted a marketing internship with ConnectShip | iShip during her last year of undergrad before accepting a full time position as a Marketing Segment Analyst after graduation. Bri is instrumental in the department's market research, social media, and content production, amongst other things.